There’s a new battle facing the younger generations of Australia today – whether they can afford to buy residential property as an owner-occupier. Those who can’t afford to get into the housing market, and those who choose not to for various reasons, are now being referred to as ‘Generation Rent’. As a result of massive housing price increases since 1997, renting is now the norm for many families, and with the average house price in Sydney in 2015 now standing at over $914,000, it’s not hard to see why. In 1981, single people living by themselves made up the majority of renters, but now families represent a quarter of all tenants (source: The Age). It’s not unusual to see families and middle-aged people who have been renting for a decade or more. 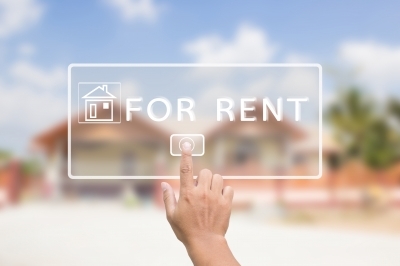 Why do people rent rather than buy? First home buyers continue to get priced out of the market, and it gets harder and harder to get onto the property ladder. There are many reasons for this, including accelerated house price growth, lack of affordability, lack of housing availability and not having a large enough deposit. Basically, more and more people are renting because it’s too expensive to buy, and the situation won’t change unless the Federal and State Governments do something to fix it. No mortgage debt and none of the stress that comes with it. Affordability – buying a house includes a deposit, legal fees, stamp duty and mortgage and rate payments. Renting only requires payment of a bond. Flexibility – when you buy a house, you generally need to stay there for at least 5 years in order to sell without making a loss. Renters have the option of moving more easily if they need to for work reasons, to move to a better location or to find cheaper rent. Reduced risk – as a renter you are really only at risk of losing your bond, whilst home owners have to worry about interest rate increases, repossession, negative equity, capital loss and damage to an uninsured building. No maintenance – renting doesn’t require the payment of rates, taxes and building insurance, whereas being a home owner does. Whilst renting still tends to come with the stigma of being something you do only when you can’t afford to buy, there are certainly many advantages to being a long term renter. What’s the impact for the real estate industry? As a real estate agent, you might think that if more people are renting, the property sale market is going to become quiet. This is not the case, because someone still needs to own the houses being rented. Many people are taking advantage of the increasing demand for rental properties by buying investment properties. Investment properties are seen as a more safe and secure way of making money, mainly due to capital growth and regular, monthly rental returns. They are also popular for the tax benefits that can be had, and because you don’t require a huge amount of knowledge to invest in property, unlike stocks for example. The real estate industry will always remain strong as long as people want to buy and sell property, and with low interest rates and the potential to make a good investment, the industry won’t be negatively affected anytime soon. As real estate agents, the key is to learn and evolve to cope with the changing housing needs of Australians.